Scoop Radio rolls out Scoop Radio Talk, with New Business Show and Mobile App! 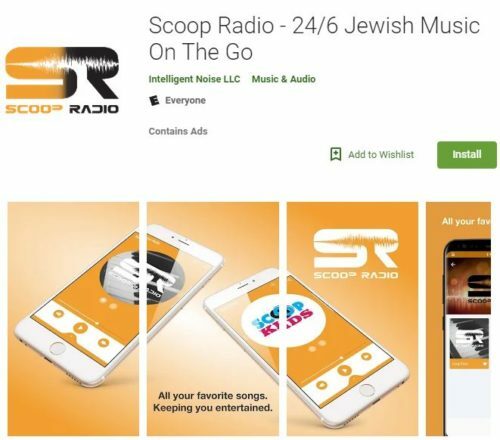 Ever since its launch several months ago, Scoop Radio Music has quickly become the leading digital Jewish Music station, followed by the one and only Scoop Radio Kids, the only all kids station all the time. And, it’s about to get even better. Scoop Radio Talk will be bringing you the best in Jewish Talk Radio, covering topics from Psychology, Nutrition and Fitness, Business Advice, Public Interest Stories, News, Shiurim and so much more. And guess what, you don’t only have to listen on the Scoop because Scoop Radio is now available on a brand new mobile app for Android users, just go to: https://play.google.com/store/apps/details?id=com.thereza.radios and take Scoop Radio wherever you are. And for iPhone users, the App Store version will be ready next week. Tomorrow night we will be launching our first talk show, the first episode of Business Forward hosted by marketing and business growth expert Shmuli Rosenberg of fwd/NYC. Joining Shmuli is Yossi Zweig renowned entertainment expert, radio host, and social media and marketing expert. The most exciting segment of the show is an actual live on-air business and marketing consultation featuring Mordy Teichman of Sew’N’Style. Sew’N’Style, opening on Sunday will provide a new level of premium tailoring and alteration services. Hear amazing and innovative tips from Shmuli Rosenberg as he dissects the businesses’ needs, critiques their advertising and gives some great ideas for them moving forward. If you are a business owner or thinking about becoming one, you do not want to miss this show. So tune in tomorrow to Scoop Radio right here on TLS, or download the app and don’t miss this amazing show tomorrow evening from 9:00 PM-10:00 PM. If you would like to have your business featured on a future show, or would like to submit marketing or business questions to have them addressed live on next week’s show, please email them to info@fwdnyc.com. There are 5 Comments to "Scoop Radio rolls out Scoop Radio Talk, with New Business Show and Mobile App!" Hatzlocha Mordy on your new business! Finally a good professional tailoring shop in Lakewood. For those that don’t have unlimited data is there a phone number we can call to listen? i only own a ‘dumb’ phone. does that mean that scoop radio is unavailable to me? I’m so happy that the Scoop has teamed up with Yossi Zweig. Besides for being a true professional and an encyclopedia of entertainment knowledge, he is one of the friendliest people I know. Just listening to him can put you in a good mood. Can’t wait to listen to the new show!